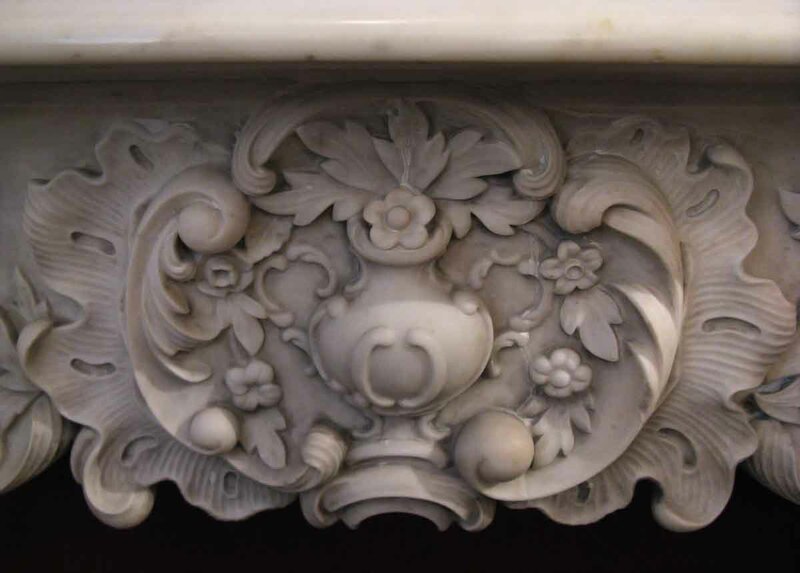 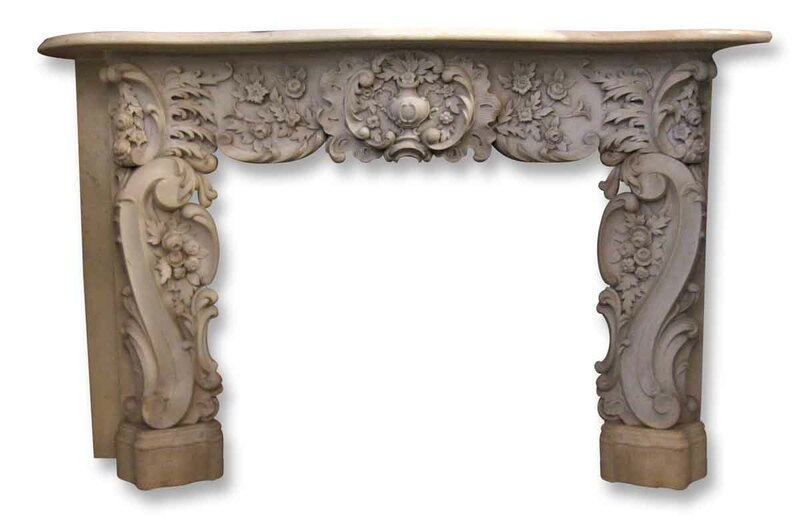 This statuary marble mantel is characterized by the extravagant style of the Rococo period with a carved serpentine frieze and shelf, as well as angled jambs. 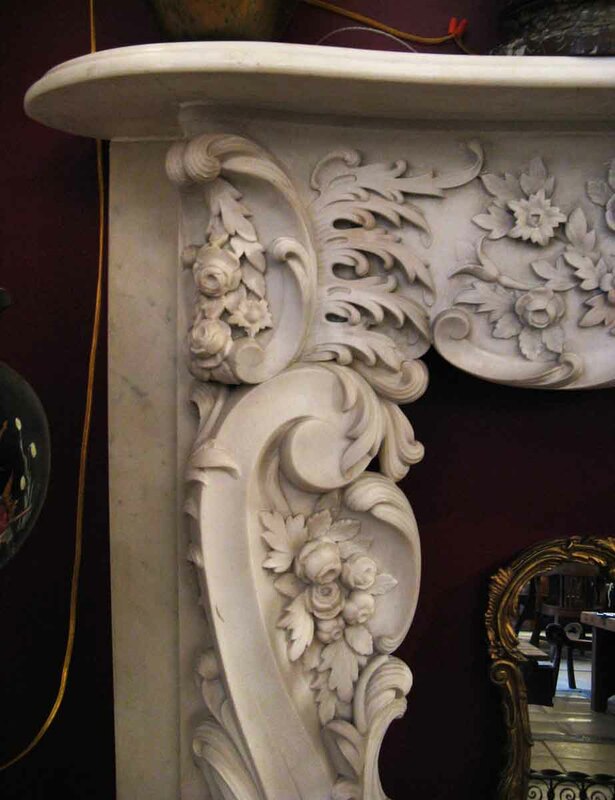 Details include deeply carved foliage, blossoms and scrolls. This period piece was retrieved from an apartment on 5th Ave in New York built in the mid 1800’s.